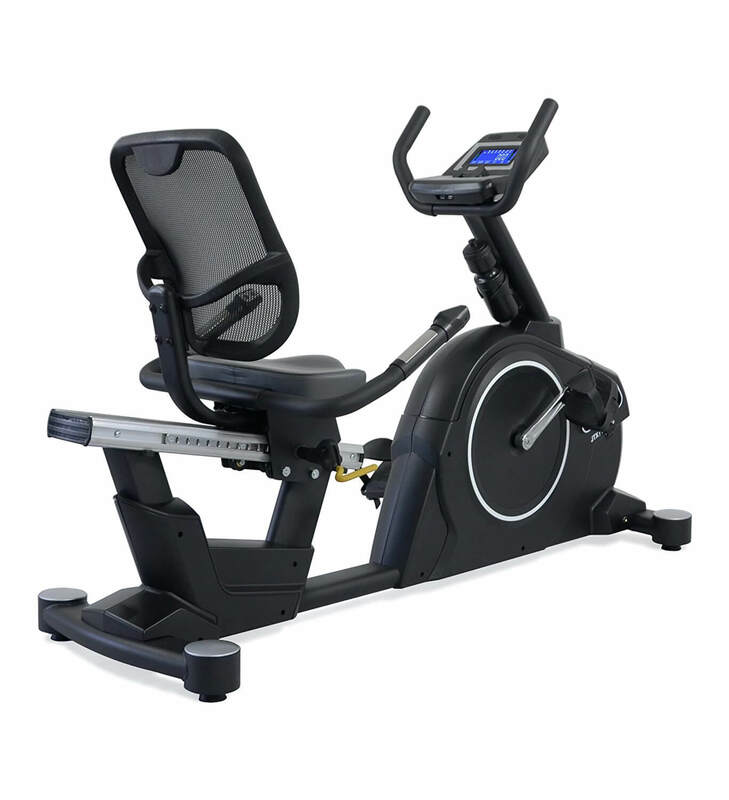 JTX Cyclo-5R 8.5kg Flywheel – Magnetic Resistance – 16 Resistance Settings – Heart Rate Monitor – MP3 Player Connectivity – Bluetooth Computer – 168 x 67 x 118cm – 68kg High end VIEW PRICE HERE! 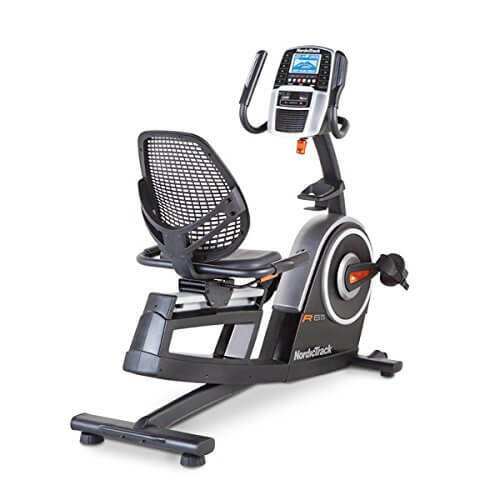 Kettler 9kg Flywheel – Magnetic Resistance – 16 Resistance Settings – Heart Rate Monitor – LCD Display – 165.1 x 66 x 101.6cm – 49kg Mid range VIEW PRICE HERE! NordicTrack R65 9kg Flywheel – Magnetic Resistance – 25 Resistance Settings – Digital Display – 149 x 63 x 132cm – 64kg High end VIEW PRICE HERE! V-fit BST-RC 5kg Flywheel – Magnetic Resistance – 8 Resistance Settings – Hand Pulse Sensors – LCD Screen – 133 x 64 x 93cm – 22.5kg Affordable VIEW PRICE HERE! Technovita by BH 8kg Flywheel – Magnetic Resistance – Adjustable Resistance – Foldable – LCD Display – 97 x 57 x 90cm – 20kg Affordable VIEW PRICE HERE! 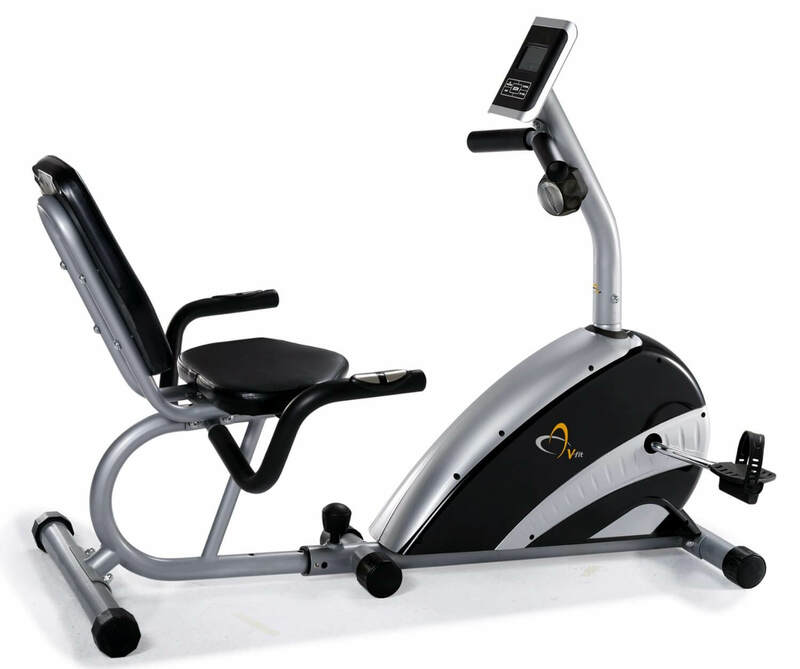 Recumbent exercise bikes are popular for numerous reasons. Not only do they allow you to exercise like normal, they are often more comfortable and can help provide back and lumbar support. As such, they are often a great choice for home exercise equipment. If you’re interested in getting such a device, there are plenty of options to choose from. To help you get started, here’s a list of the top 5 recumbent exercise bikes available to buy. With an 8.5 kg flywheel, this product can handle a broad range of workouts, so there’s no need to hold back. This is supported by magnetic resistance so, even when you’re pushing yourself, the equipment remains quiet and smooth. This is great for helping your own concentration, as well as ensuring you don’t disturb those around you. Furthermore, with 16 levels of resistance, you can easily fine tune and adjust the resistance to suit your needs as you progress. The heart rate monitor is a welcome feature, allowing you to track your pulse as you exercise. As an added bonus, there is also built in connectivity for MP3 players. If you like to workout to your favourite music, this simply makes it even easier to do so. Likewise, the bluetooth computer can display a wealth of data, as well as pre-programmed workouts, to help enhance your experience. It also connects to other devices. As far as size goes, this is a smaller piece of equipment than you might imagine, with a frame of just 168 x 67 x 118 cm. At 68 kg, it is not too heavy either, considering it is not a portable item. As you can see, this product has plenty to offer. Whether you want a large flywheel, a smooth experience or a few choice home comforts, the design here makes sure to include something for everyone. Thanks to the 9 kg flywheel, this is a very powerful device that can provide even seasoned trainers with the challenge they require to improve themselves. Likewise, the magnetic resistance offers a stable experience, ensuring sessions are smooth, quite and enjoyable. This is supported with 16 different levels of resistance. This allows you to fine-tune your experience and find the right level for you, as well as offering an extensive amount of progression. This is also supported by the heart rate monitor, which can give you feedback about your pulse, so you can better plan your workout. This data, as well as other information, is displayed through an LCD screen. At 165.1 x 66 x 101.6 cm, this is a reasonably sized product. Likewise, at 49 kg, it is much lighter than it looks. In short, this is a device that offers a fantastic workout, while also offering a product that is easy to use, making it an ideal fit for the home environment. This is another product that can boast a powerful 9 kg flywheel, allowing for more intense workouts. This is supported by magnetic resistance, ensuring the whole experience remains calm and peaceful. While many other devices have 16 resistance settings, the R65 can claim 25. If you truly want to micromanage your workout, or have plenty of progression, this is something to highly consider. The 5 inch digital display is also useful, providing a whole host of information. It can also be used with various apps and programs to help enhance your sessions in a variety of ways. As far as size goes, this is a reasonably small product at just 149 x 63 x 132 cm. At 64 kg, it is not too heavy, either. To surmise, the R65 is easy to use and has plenty of features that would satisfy an experienced athlete or trainer. If you want gym level quality in your own home, this is certainly one way to achieve it. The 5kg flywheel is more than enough for most people and helps lend to this product’s lightweight, slim design. As you would expect, magnetic resistance is used to offer a quiet experience throughout every session. Likewise, this resistance can be controlled through 8 different settings, letting everyone find a level they are comfortable with. The hand pulse sensors are also a welcome feature, enabling you to get accurate readings on your heart rate while exercising. 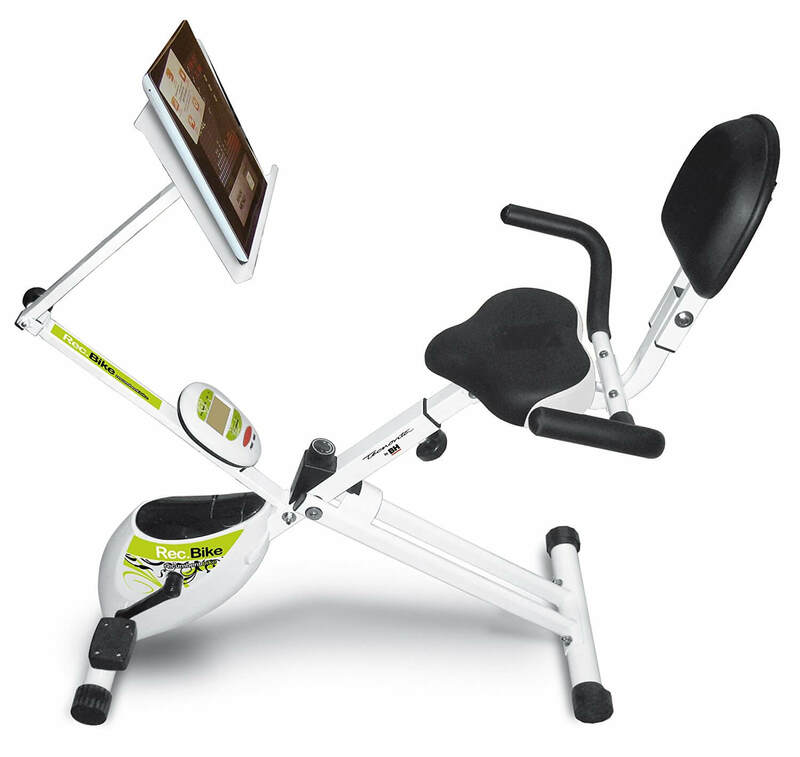 The large LCD screen is useful for displaying various information and is well positioned to be seen while working out. As far as size goes, the slim design means that it doesn’t take up too much space, with a rough size of 133 x 64 x 93 cm. Furthermore, at just 22.5 kg, this is one of the lightest recumbent options available. As you can see, there is certainly plenty on offer here. The 5 kg flywheel is more than enough in most situations, while the adjustable resistance and LCD screen still offer plenty of usability. Despite its small size and frame, this product still manages to incorporate a full 8 kg flywheel, so you don’t have to compromise when it comes to working out. This is supported through magnetic resistance, ensuring the painless, smooth experience you would expect from a luxury product. Similarly, this can also be adjusted, so you can increase your workouts as you improve. The key selling point for this device is that it is foldable, offering you a recumbent model that can be packed away when not in use. Folded up, it’s size is just 46 x 57 x 124cm. There is also a large, clear LCD monitor, useful for displaying all the information you need. Unfolded, this is still an slim and small item, with a size of just 97 x 57 x 90 cm. Its light, foldable design means that, at 20 kg, it is also one of the easiest products to carry or move. In this particular market, a foldable bike is hard to find, especially with this many features. This makes the BH Rec Bike a great product for people who want such an option but still need to keep their living space and other practical features in mind. Looking at the market’s leading options, it’s clear there are solutions at every budget and for every need. Whether you’re just beginning your training or are a seasoned veteran, there is one product that stands out from its peers. 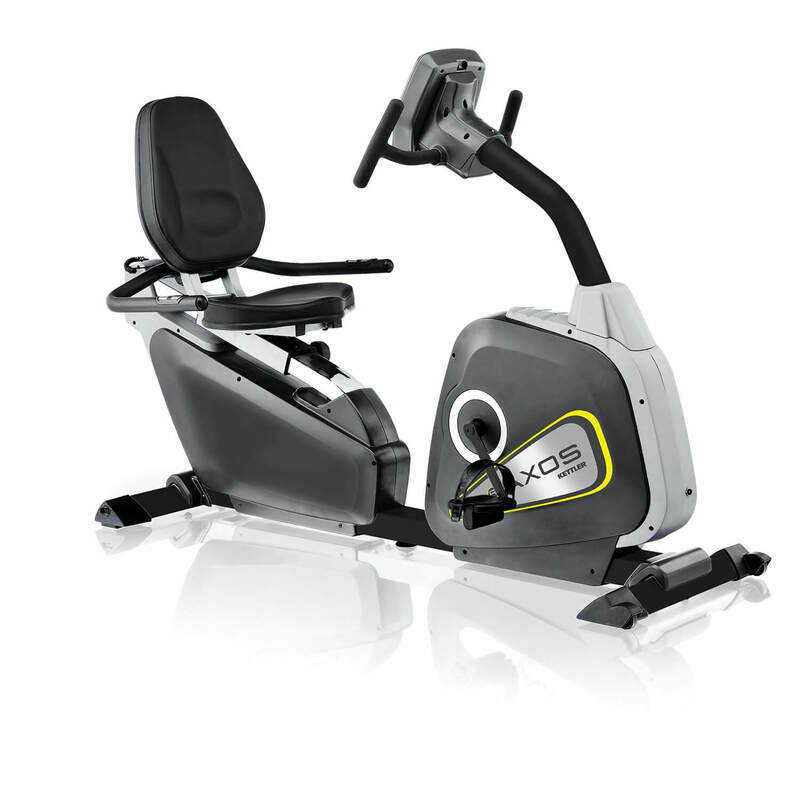 Thanks to its high quality and large array of additional features, it is hard to argue with the sheer value offered by the JTX Cyclo-5R Recumbent Exercise Bike. This product brings the luxury and quality of the gym into your own home, which is why it easily earns the top spot on this list.